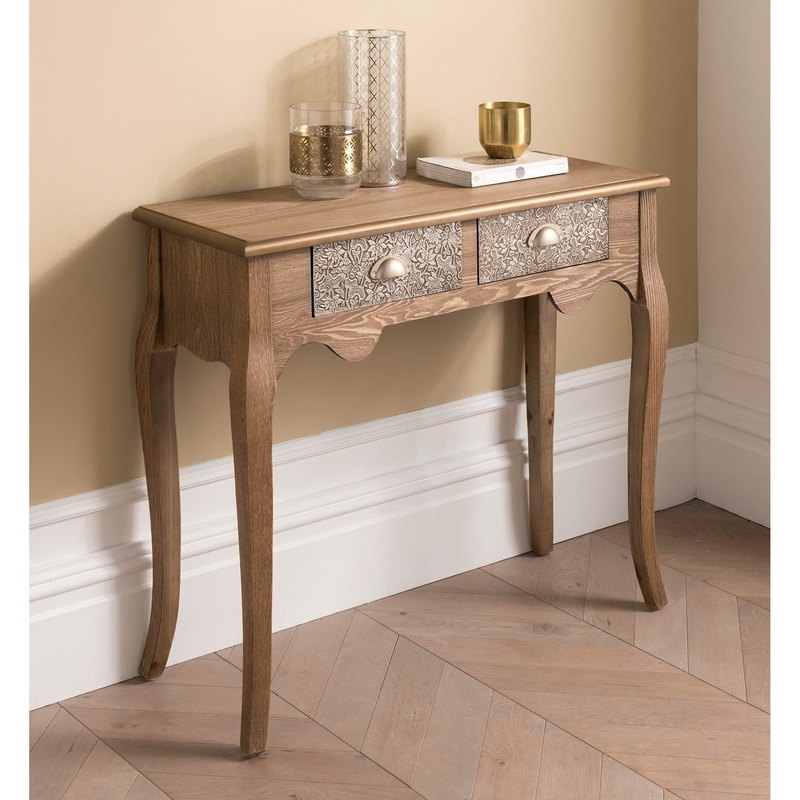 Homesdirect are proud to introduce our very own wooden console table. Comes with 2 drawers with a beautiful pattern on them. The pattern gives off a very, unique, individual effect on the whole piece and its metal handles will illuminate the modern feel throughout your home effortlessly.